Can you go from a Porsche 911SC to a GT2 RS? So if climbing the property ladder is so easy, how about doing the same with Porsches – climb the Porsche ladder? 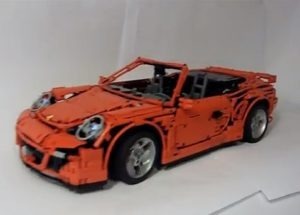 Would it be possible to start off with, say, a tired 911SC and work one’s way up to a 997 GT2 RS? Of course it would be and I’m tempted to try. Now, I’m always buying and selling Porsches but as a means of supplementing my income, rather than to get my ultimate Porsche. However, with a bit of careful financial planning, I reckon I could climb the Porsche ladder; and I’m sure you could do. If nothing else, a lot of fun could be had owning all sorts of different 911s! If you were really committed you’d begin with a £500 924 but let’s say we start off with the aforementioned SC. Buy it for £10,000 and sell for £11,000 and there’s a modest but clear grand profit. 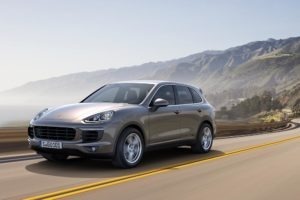 The next few cars are also likely to be SCs or maybe 3.2 Carrera. In fact, I’d get onto the latter quickly because, as much as I like SCs, the truth is buyers prefer 3.2s. Hit £30,000 and you will be finding more 996 Turbos, top-end 993s and touching 993 Carrera S models, which are always good sellers, as are 964 Turbos. You’ll also be tempted by early 997s but be careful – there are lots out there and it’s a buyer’s market. The key is to find someone desperate to sell and buy very low, so you can then sell on at an competitive price. I think that from £40,000 it could get hard. You’re looking at 997s still but the market for them is tough. Maybe look out for a decent 993 Turbo – these are still sought after and prices can exceed £50,000. You could also consider classic 911s, such as a Seventies S, but only if you really know what you are doing – buyers will and insist on originality. A 996 GT3 would be fun, too, so long as you get a good example. Upwards of £50,000 gets into nearly new 997 territory but the problem is, at this level, buyers prefer to go to a dealer peace of mind and will understandably be wary of private buyers. If you can manage, though, the rewards will be good, with £5000 profit per car easily achievable. You’ll soon be jumping up to £70,000 where you’ll be able to trade newish 997 Turbos and GT3s and, before long, that GT2 RS will be within reach. Pie in the sky? Not at all, but it will get harder the higher you go. I think I’d want to realise my profits at £50,000 and then go back to the beginning with another 911SC. Porsche ladder? Snakes and ladders more like – I always did like that game! 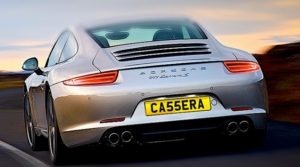 The ultimate Porsche Carrera numberplate?